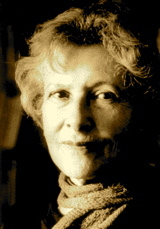 A Year of Being Here: Denise Levertov: "The Love of Morning"
O God, save us from the horror. . . .
"The Love of Morning" by Denise Levertov. Text as published in Selected Poems, edited by Paul Lacey (New Directions, 2002). 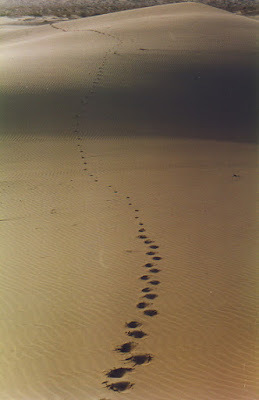 Art credit: "Footprints in the sand create a classic picture" [Thar Desert, India/Pakistan], photograph by Mark Moxon. Very potent. Levertov has captured it, I think: both the vivifying effect of birdsong and the stultifying effect of gray mornings.